Velocity is thrilled to announce that Sabrina Sieger will be joining the Velocity team as the new Development + Communications Director. Sieger comes toVelocity after working as Grants Coordinator on the Wallace Foundation Grant in the Visual and Performing Arts Department of the Seattle Public Schools. 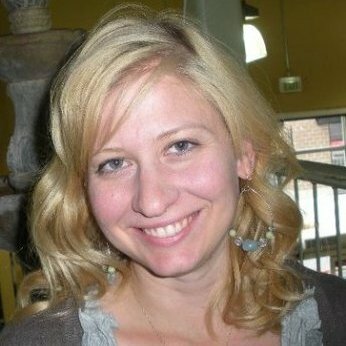 She brings toVelocity a wealth of experience from twelve years working with non-profits and arts organizations. She started at Ballet West as the Internal Sales and Donations Manager then worked with The Leonardo, Salt Lake City’s museum of Art and Science where she was the manager in both Marketing and Development. Sieger held the position of Events Coordinator at The University of Utah’s Middle East Center and was the Interim Development Director of Asian Week Foundation. Dance and the arts have always been the focus of Sieger’s life and education. She attended the University of Utah where she studied Political Science and Gender Studies. She is a world-traveler and is fluent in German. Sabrina Sieger comes to Velocity Dance Center after a year of many great successes for the organization. + Velocity starts 2012 closing out a successful Capital Campaign for its new space on the 12th Avenue Arts Corridor on Capitol Hill. + Velocity introduces three new programs: Seattle Youth Dance Collective, the online journal STANCE, and Made in Seattle for commissioning and presenting evening-length dance works. + Velocity successfully commissions 27 new works and presents 62 original performances, films, and installations by leading regional talent and international innovators. Velocity gives over $130,000 in direct and in-kind support to artists. + Velocity presents a packed Seattle dance showcase at Bumbershoot and is featured at The Stranger Genius Awards. + Velocity’s success is recognized by The Seattle Times in Seattle dancemakers claim a spot on the national stage. 15 out of 17 artists mentioned are intrinsically linked toVelocity Dance Center. + Velocity commissions and presents the premiere performance of Danielle Agami/Ate9 (City Arts 2013 “The Future List”); and produces and expands Velocity’s 7th annual Next Dance Cinema. + Velocity is honored by The Capitol Hill Chamber of Commerce with a Star on Broadway.